They say that a small act of kindness can make a difference. 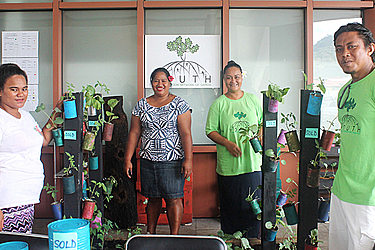 And that is fitting to describe a new organization formed in Samoa called the Youth Climate Action Network of Samoa. Guided by the theme, “Youth Can, You Can”, their main goal is to work at the grass roots level to promote a healthy environment and help with our fight against climate change. 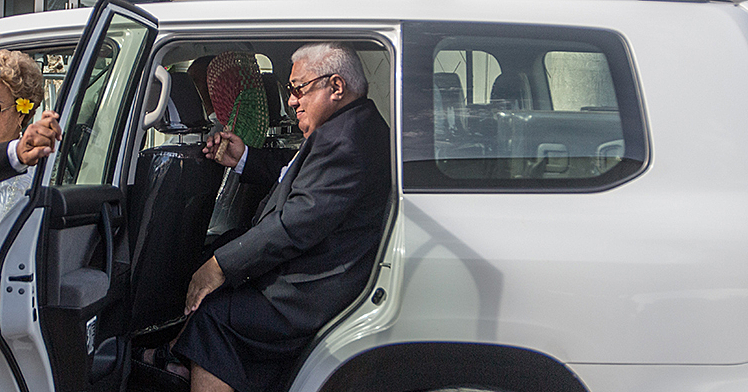 Y.C.A.N.S is made up of twelve members from all around Samoa. One of the co-founders of the organization, Theresa Mann, said the initiative to have this organization was born after attending a Pacific meeting that was held in Samoa last year on Climate Change. “There was a meeting that was held here last year, and the idea to have this organization was born out of that meeting,” said Theresa. “The meeting was about Climate Change. All of our youth members participated in the meeting and we saw there was a great need for the youths to work together for a great purpose, and that is to help fight against climate change and help to maintain and take care of our environment from the grass roots level. “That meeting inspired us to be advocates and leaders in our villages and youth groups to promote ways that can help with our fight against climate change. Moreover, Theresa said that their work focus mainly on the grass roots level. “Our members come up with different initiatives and we all work together with the communities, villages, Church Ministers and youth groups to achieve those initiatives. 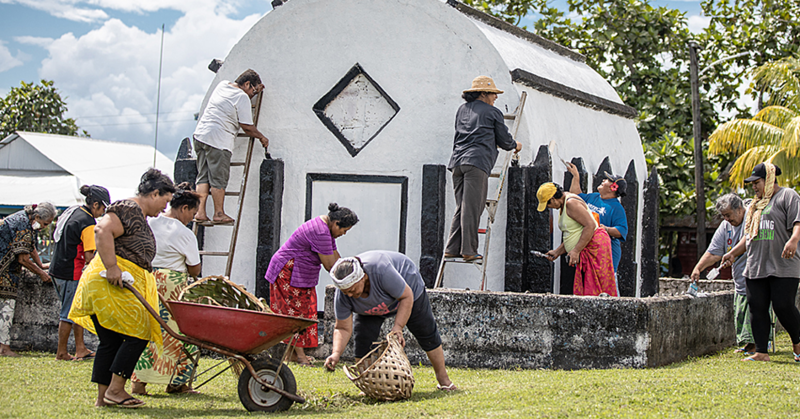 “For example, one of the initiatives we had was to keep our beaches and hotels in Savaii clean. So we helped clean up the beaches for that. Some of our members have been helping out with replanting of mangroves and our forests. “Organic farming is one of our main initiatives and we promote the use of natural soils and all. She went on to say that so far, they’ve been getting a lot of good feedback and support from the community for the work that they do. “The good thing about our initiatives is that we had a lot of support from the community. Empowering our youths to be better leaders for the future is another aim of the organization. 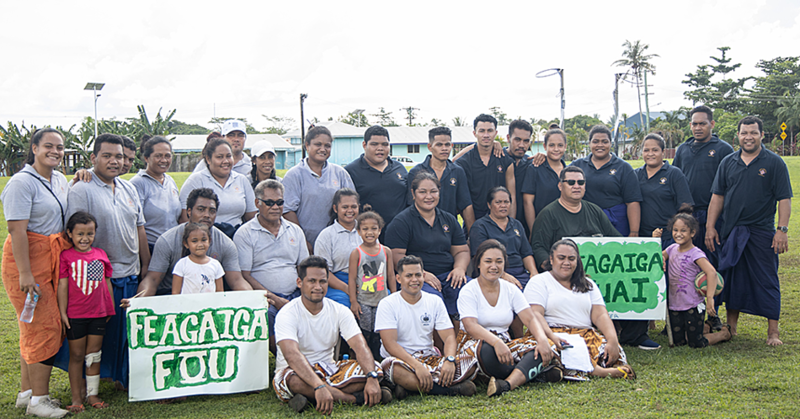 Y.C.A.N participated in the celebration of the Environment Week in Samoa last week for the first time and are inviting more youths to be part of their organization.